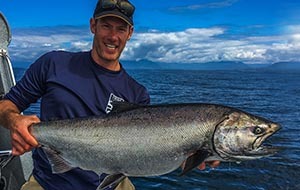 Hartley Bay is one of the coolest spots on the NorthWest Coast…and a fine Chinook Salmon angling destination. 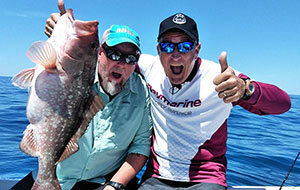 George Fisher is a GitGaat Guardian Watchman and knows the waters well! 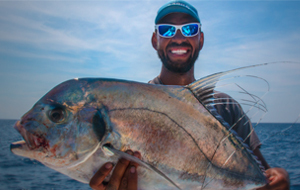 Rob has his hands full as he embarks on an epic adventure chasing and landing multiple Sailfish on his own. VENICE, LOUSIANA: DOLPHIN & WAHOO THE FAST WAY! Poveromo’s visit to the Venice Marina, the local anglers had been experiencing a solid run of dolphin (Mahi) the likes of which they hadn’t seen in years, in terms of both size and quantities. Naturally, Poveromo and Billy Wells cash in on the action! 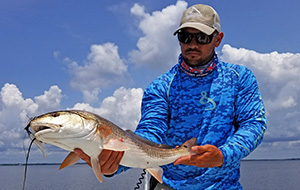 Between trolling along weed lines and pitching lures and baits on light spin tackle along the thicker patches and debris, the action is fast and exciting with quality fish. And, if that isn’t enough, they happen upon a displaced, free-floating buoy. Knowing full well that wahoo should be stacking underneath it, they capitalize on the striped speedsters by trolling Rapala MAG lures past the find. 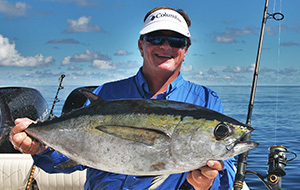 Nearly each pass yielded a wahoo, and the duo left them biting after they released close to ten fish. 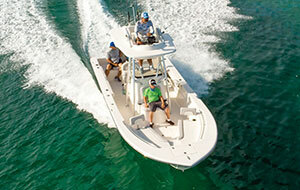 They fished aboard Poveromo’s MARC VI, a Mako 334 Sportfish Edition center console. 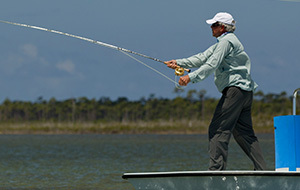 Today, on Florida Sportsman Best Boat...If you desire a thoughtfully laid out, custom fishing boat, we will be taking a look at the Sheaffer S280; For those who couldn't decide between going offshore or hitting the backcountry, we will be looking at the Dusky 242 Bay; If you are e looking for the ultimate blend of comfort and fishability, we will be taking a look at Blackfin 272 CC. 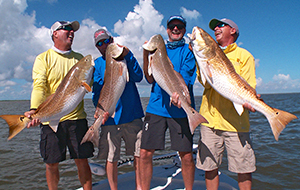 Jim Belushi and Jimmy Kimmel fish together after getting a few quick lessons from the masters, plus the whole cast tries to catch wild native crabs without losing a finger. 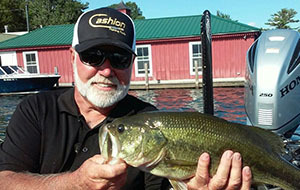 Captain Eric Ciocher spends the day bass fishing Lake Toho with Captain Jonathan Wilson for some big Bass. Capt. Todd and Capt. Jamie take a break from fishing state waters off Panama City and venture out into federal waters looking for a mixed bag of reef fish. 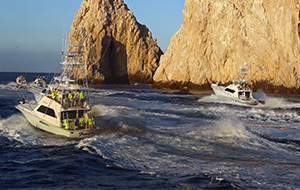 We will fish with local Pangaro, Captain Adolfo along with FONMAR Representative; Rene Olinger to get a handle on what this federal Fish and Game commission is doing for Baja fisheries. 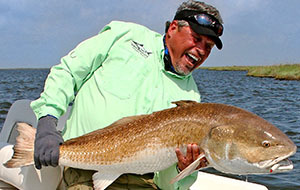 Then we will join local Captain Chris Jones for some inshore fishing and oceanfront touring of some local hide-away gems. 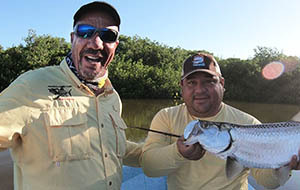 Host Randy Bowser and guest Alvero Abreu battle for tarpon with spin cast versus fly fishing in Progreso, Mexico. 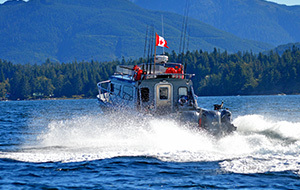 Lake of The Woods country is home to some of the world's best fishing playgrounds. 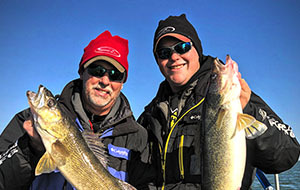 The Kenora Walleye Masters tournament tests two-person angler teams to see who can work these waters the best, and land the heaviest walleye. 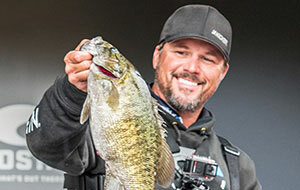 Bass fishing superstars Bill Lowen and David Dudley square off in an Elite Series-FLW battle royal on Lake Okeechobee in a rematch of their 2013 semifinal showdown, won by David Dudley on his march to the title. 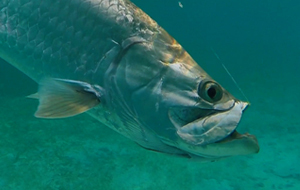 Jared meets up with Captain Jack Carlson for a rollercoaster of a trip in the Florida Keys. Together, they face the infamous Marathon hump, while embracing the true force of Mother Nature. Denis and Dreu head down to the Southern tip of Argentina to one of Patagonia's most famous fisheries, Lago Strobel AKA Jurassic Lake to chase the biggest rainbow trout in the world! 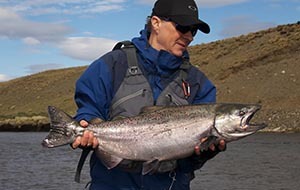 This fishery is famous for many rainbow trout over 10 pounds and fish over 15 pounds are common ! This episode is the conclusion and you might just see the biggest rainbow of your life! 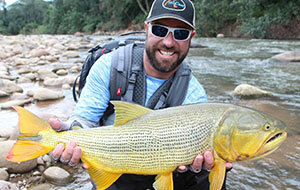 Come along with the Wild Fish Wild Places crew as they show you around Southern Argentina and Jurassic Lake. 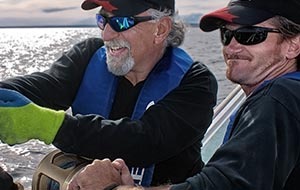 Kiwi angling icon Darren “Dazza” Cleave continues to investigate the sustainability of the South Pacific’s recreational fishing resources as he heads to remote, historic Norfolk Island. This former penal colony and home of the descendants of the Bounty mutineers, is also a “bountiful” commercial-fishing free zone. 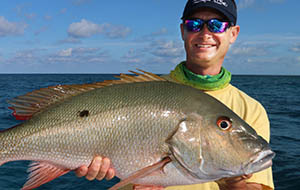 Here, Dazza chases world-record 35-pound snapper, as well as mega-sized silver trevally, golden emperor and yellow-fin tuna. 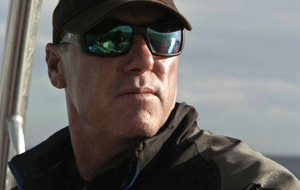 But he has to battle the ravenous local bronze whaler sharks to get them on board. 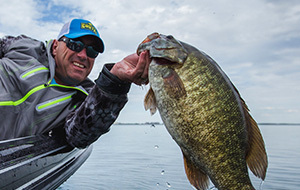 Always a welcome stop, Morrisburg, Ontario welcomes qualifier 3 of the Renegade Bass Tour and anglers are excited to get fishing the St. Lawrence River’s renowned smallmouth bass population. High water levels have the area limited but plenty of spots and fish await todays field. Timmy discusses the different tyres of hooks and their purpose. 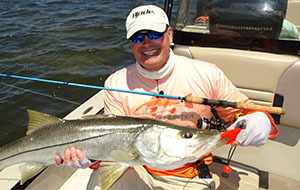 Today's show is action packed with Dustin fishing two vastly different bodies of water at different times of the year. First up, Dustin takes on a tiny creek in an equally tiny boat during the Fall. He finds beautiful scenery and surprisingly nice fish for such a small creek. After the creek, Dustin heads to a favorite pond in the winter in very muddy conditions. 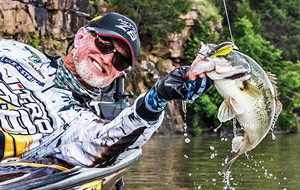 We’ve all heard fish don't bite in cold muddy water….Stick around to see if Dustin has gone crazy. We have a very Dark show today! 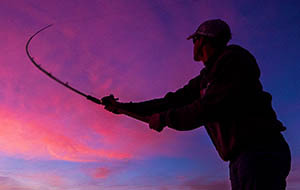 We will take a trip into the darkness with some night fishing secrets. 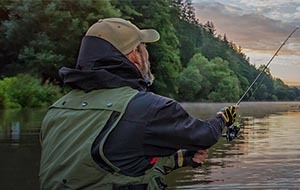 This type of fishing is very special. Several species are very active at night like walleyes, muskies, sturgeon and catfish and other fish that have vampire tendencies. Many records are caught at night !!! 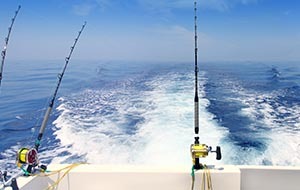 It's also a great way to avoid noisy boat traffic, burning sun and scorching heat that could affect us over the hours. 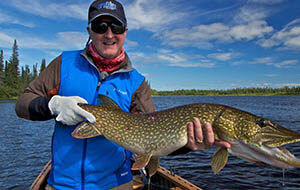 Bob is up in the Algoma region fishing at Blue Heron Resort for bass and pike. Crooked Lake is located in the heart of the Kawartha’s. Leo, Ron & Jeff had some great guests on this show. 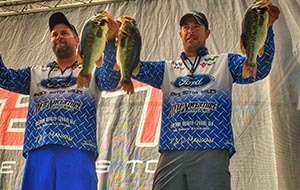 With tons of Bass in the lake let’s see who wins the tourney. 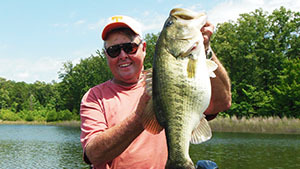 Bill Dance shares his strategies, steps and go-to lure when nothing else is working to land a bass. 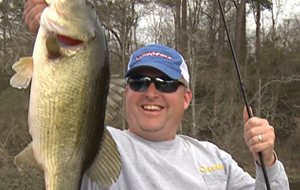 Dave hits one of his favorite lakes for another epic run at some Bronzeback Bruizers. It's Erie time baby! Episode No. 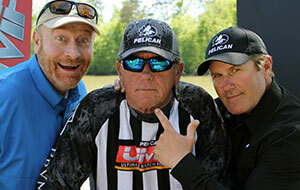 3... On this week’s episode of Fishing 411 TV Mark and Jake Romanack team up with Steve Lynch of Pro Cure Bait Scents to test out a new walleye trolling tactic known as the Precision Trolling 50 Plus 2 Method. 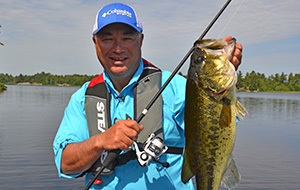 The 50 Plus 2 Method involves using Snap Weights to help get diving crankbaits to deeper depths. When it comes to trolling for walleye, there is no better proving grounds than Lake Erie. 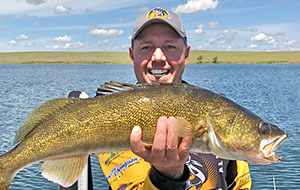 Jake, Mark and Steve expand on the finer points of walleye trolling and also how to use natural scent products to tempt lethargic walleye into striking crankbaits. Today Charlie & Ray are joined by Eric Jackson, Olympic Gold Medalist & CEO of Jackson Kayak and Bridgett Howard, Marketing with Jackson Kayak as they demonstrate how to get into smaller areas with the NEW Blue Sky 360! Join Chad LaChance and Dab Swanson on their first visit ever to one of Colorado’s most popular trout lakes, Eleven Mile State Park. 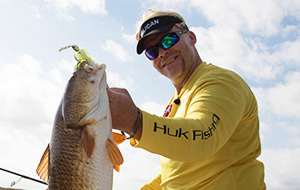 In this episode, we visit with several top Pros, as well as gain insight from Host Wade Middleton, on how to locate some of the best docks and catch fish off them. We’ll see bass fishing action around stationary docks, inside marinas, and large floating docks. We'll head to Lake Travis, Lake LBJ, & Lake Texoma in Texas, plus Pickwick and Wilson Lakes in Alabama. 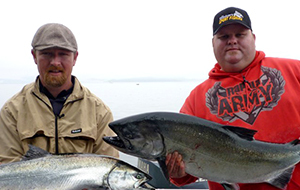 Mike Mitchell and Kevin Estrada wrestle with the famous Fraser River sturgeon. An informative episode from two special 'big city' rivers. 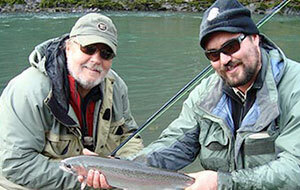 Fish with Jake Gregg and Dan Fisher from Clackacraft on the Clackamas River in Oregon. 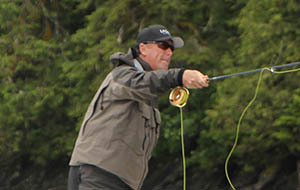 The low water conditions are challenging but Pro-Cure roe and Spro RkStar steelhead jigs catch the fish. 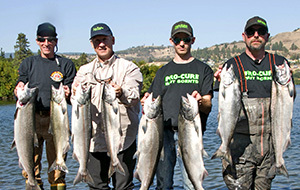 Then, take a lesson from long time American River steelheader, Steve Swinford as he shares his techniques with Acme Tackle Little Cleo spoons and plastic worms. Don and Brian fish a trophy lake near Kamloops, BC, called “Pass Lake”. Warmer than expected water temperatures force the guys to constantly change setups and move, but they still manage to hook into some big fish. 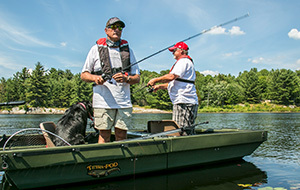 On the bench, Don ties up his “Ghost Leech”. 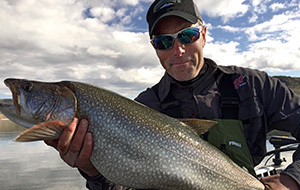 A trip of a lifetime to northern Saskatchewan for monster northern pike. 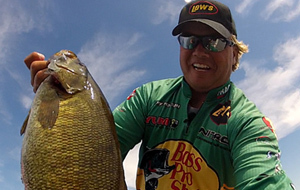 Join Italo as he shows you how to locate and catch trophy walleye using jigs and plastic grubs.